Saul Delgado was born in Pinar del Rio, Cuba. As a child in Cuba, Mr. Delgado spent his summers with his father, a bus driver for the city of Pinar del Rio; when he was not with his father on the bus, he was helping his grandfather in the tobacco fields. Mr. Delgado also enjoyed playing baseball with his friends. On May 5, 2001, Mr. Delgado’s family decided to move to the United States. They came to Austin, Texas, and found support during the transition from a program called Caritas until they were able to support themselves. When Mr. Delgado attended school in the fall, he would return home crying because he couldn’t understand what was going on since everyone spoke English and he did not. After several months, the school decided to start him on ESL (English as a Second Language) classes. After school ended, Mr. Delgado kept on going to ESL for summer to improve his English skills. Mr. Delgado graduated high school in 2009. After graduating, Mr. Delgado became a Truck Dispatcher for his father’s company before deciding that he wanted to pursue a career in medicine, inspired by his mom, who was a nurse in Cuba. In October 2011, Mr. Delgado attended Southern Careers Institute where he graduated as a Medical Assistant. He worked as a Medical Assistant Floater in the Pulmonary, Cardiology, and Nephrology department in Austin Diagnostic Clinic. 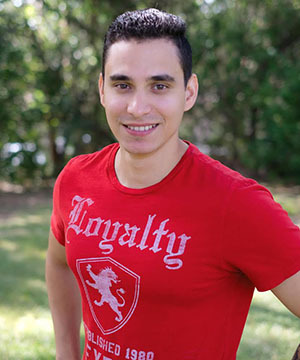 In April, 2012, Mr. Delgado joined Migrant Clinicians Network as a Health Network Associate. Mr. Delgado enjoys spending his time with his family and friends.